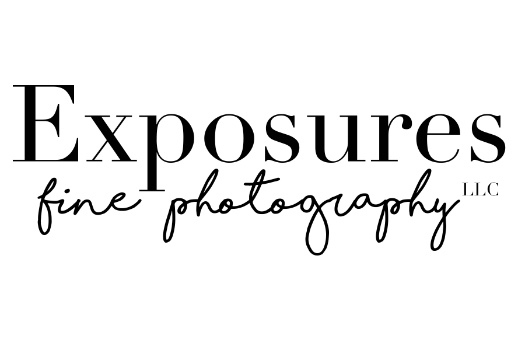 Exposures Fine Photography was established in 2003 by Lacey Wendholt-Vollmer of Huntingburg, IN. Focusing her work on weddings, senior portraits, babies, children and families; Lacey brings a fresh and unique style while keeping to her traditional roots. A new 4,500 square foot studio was completed in 2009 allowing for a variety of options when choosing backgrounds. The new studio is nestled between two pristine lakes, beautiful landscaping and surrounded by trees to provide needed shade no matter what time of day. Lacey graduated from Southridge High School in 2002 and attended the Ohio Institute of Photography and Technology where she graduated at the top of her class. During her schooling she won awards such as Outstanding Graduate, High G.P.A and also the honor of Outstanding Portfolio. Lacey resides in Hungtingburg with her husband Eric and two children Henry and Caroline. When not working she enjoys shopping, playing with her dog, Hemi and cat, Jackson, reading, and hanging out with her family and friends. Abby Wendholt is our office manager and assistant photographer. She completed her schooling in 2010 and earned a degree in Online Journalism from the University of Southern Indiana. Whether answering the phone or assisting with a photo shoot she is most definitely an asset to the Exposures family! family and friends and being outdoors.